Chef Sanjeev Kapoor is a wonderful app for cooking lovers. Sanjeev Kapoor is an Indian chef. All his recipes are very simple but delicious. He has written recipe books and even a TV host. Sanjeev is among the most famous Indian chefs who was popularized by “Khana Khazana”. Try all the recipes from this app and enjoy cooking. Anything everything from around the globe can be watched here. You will certainly learn interesting tips and knowledge of cooking. 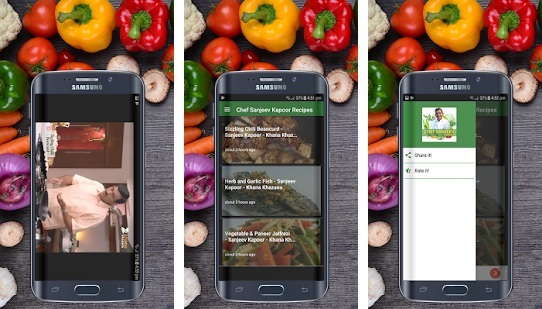 To get all the latest ‘Food & Drink’ Android apps or any latest Android Apps from Mobile Application Bangalore.